As part of its aim to empower Women through charity activities, Chemmanur International Group is launching a chain of 2,900 Boby Bazaars across India, with the aim of providing employment opportunities to three lakh women. Dr Boby Chemmanur along with Chemmannur Women partners and differently abled children together inaugurated the first of the 2,900 supermarkets at Vadakkanchery in Palakkad on October 11. The very purpose of Boby Bazaar, a brain child of Dr.Boby Chemmanur, a well-known Philanthropist, is women empowerment. 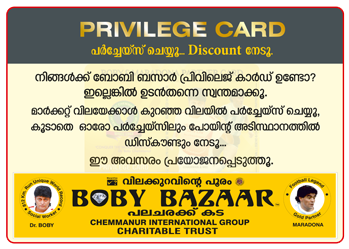 Every Boby Bazaar will be operated by Chemmanur Women Partners (CWP’s). The CWP’s will be provided with adequate skill training before taking charge in the stores. There is no specific academic/ educational qualification criteria to become a CWP. The profit generated from the store will be divided among the CWP’s. CHEMMANUR CREDITS AND INVESTMENTS LIMITED (CCIL) was promoted by Chemmanur International Group,under the Reserve Bank of India rules. 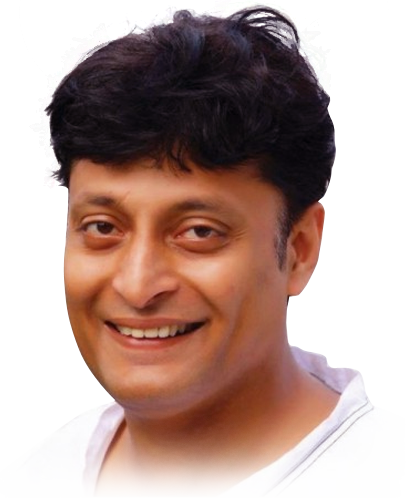 The chief promoter of the company is Mr. Chemmanur Devassykutty Boby. Chemmanur International Holidays and Resorts Private Limited; which is part of the Hospitality & Leisure Division of the Chemmanur International Group along with the grand project namely The Oxygen City, is the Chairman, Dr. Boby Chemmanur’s ambitious foray into the hospitality industry.